Named after the Atlas Mountains that spans modern-day Morocco, Tunisia and Algeria, the Atlas Bear (Ursus Arctos crowtherii) was the only bear ever to be native to Africa. Most naturalists consider this shaggy giant to be a subspecies of the Brown Bear (Ursus arctos), while others argue that it deserves its own species name under the Ursus genus. 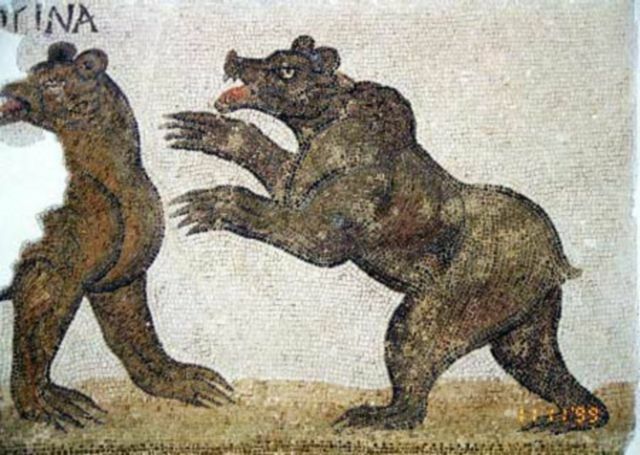 Whatever the case, the Atlas Bear was well on its way to extinction during early historical times; it was hunted intensively for sport and captured for arena combat by the Romans that conquered northern Africa in the first century A.D. Scattered populations of the Atlas Bear persisted until the late 19th century, when the last remnants were wiped out in Morocco's Rif Mountains.